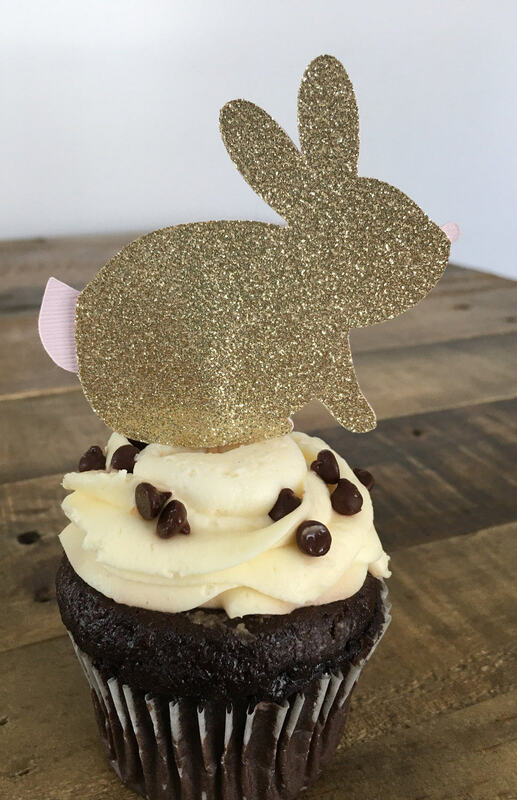 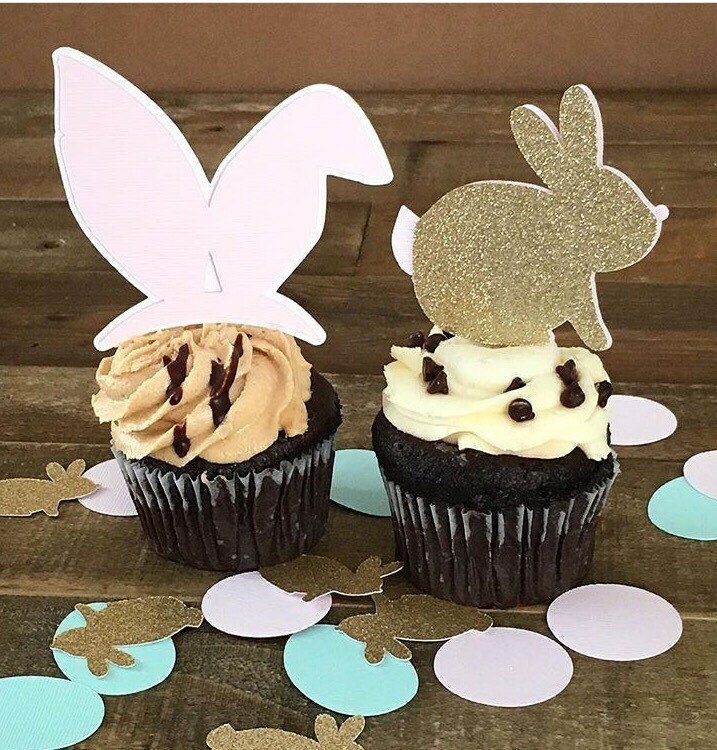 Set of 12 Bunny Ears and Bunny Cupcake Toppers! 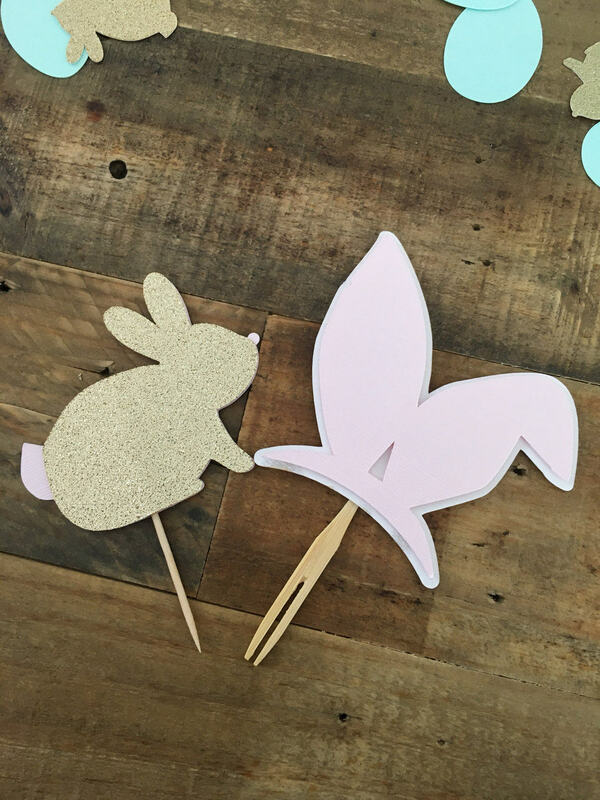 Add these adorable toppers to your Easter gathering or to just celebrate Spring is here! 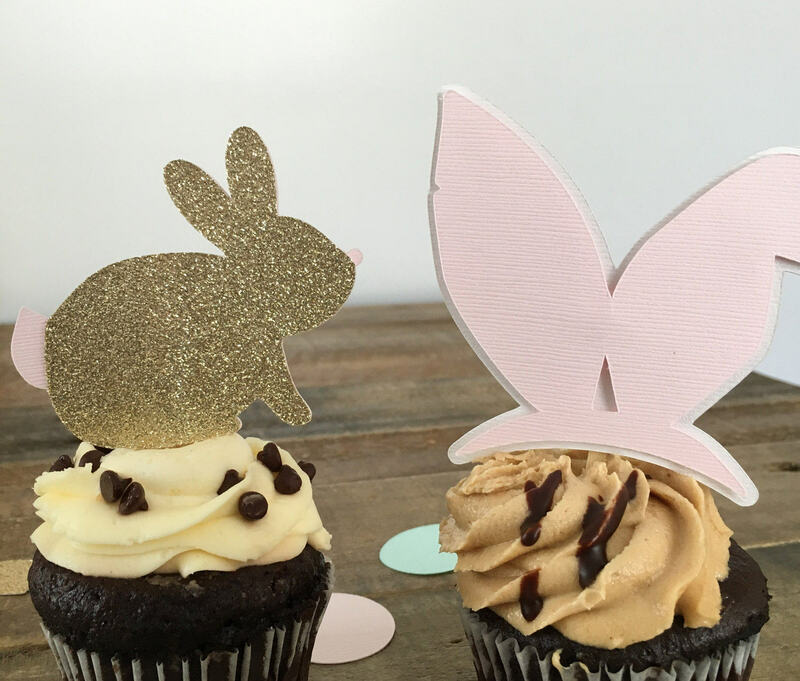 - Each Bunny Ears is 3.5" x 3.7"
- Each Bunny is 3.2" x 2.7"
These will be shipped Priority 2 Day Shipping! 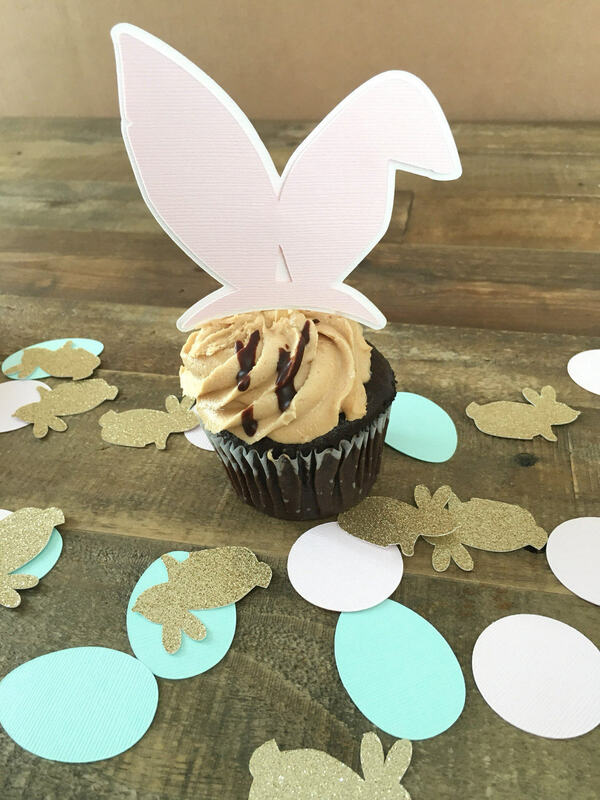 This can be customized to any colors!